Regardless of the season or, for that matter, time of day, whenever presented with a beautiful bath and a spare half hour, I hop on in and luxuriate. (I once laughingly – but with the glint of honesty in my eyes – tried to suggest my doing just this to a host when I arrived early to her party. I was unsurprisingly rebuffed, though it was a cruel deprivation – she had a shelf full of Aromatherapy Associates goods and a bath next to a glass wall overlooking the Thames). Yesterday was no different. At my parents’, I found myself with an hour that was unaccounted for in the middle of the afternoon. My parents have a bathroom I’m rather fond of. It’s cloaked in grey marble shot through with greens and blues and boasts a freestanding bath with large claw feet. If given a moment to spare, I’m usually to be found in there availing myself of that wonderful room’s comfort. And that’s exactly what happened yesterday. I threw open the window so I could hear the birdsong and rustling of trees as the wind assailed them, grabbed an easy read, and jumped in with an H Gillerman potion for a happy forty minutes of indulging my senses. If You Need To Switch Off / Lavender works a treat. But not just any lavender, make it the wild variety that isn’t powdery or cloying but carries the freshness of fields on its shoulders. 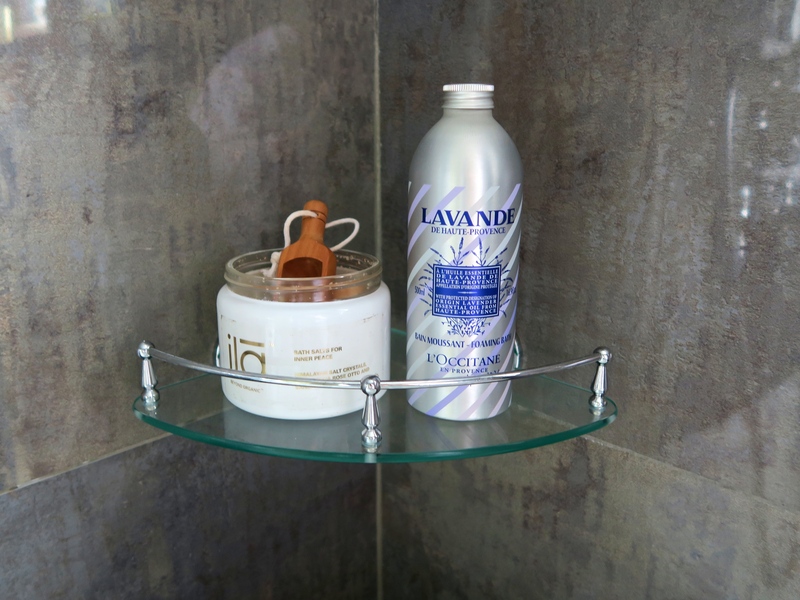 I’m using L’Occitane’s Lavender Foaming Bath at the moment, delighting in the skin-softening lavender oils and the bath full of bubbles it creates (I have a little Kylie I Should Be So Lucky moment in them – can’t resist). If You Need Your Bath To Be A Retreat / This is my most frequent genre of bath. I have it when I want to be in a spa but don’t have the time/money/energy, so instead shovel some Ila Bath Salts For Inner Peace into the water, lie back and hope to be transported to a happy place. They usually do the trick – made of Himalayan salt (so good for the old skin), soaked in damascena rose otto and sandalwood oil, they’re basically a spa in a jar. If You Need To Feel Energised / A morning bath is a buffer between bed and life and as such it has to be stimulating, not jarring. I’ve found just the thing in Amayori. The small New York brand have taken Japanese bathing principles and created ‘mochis’ (little bath tablets) to stimulate in the morning. While, as the name suggests, the Shower Mochi for Mindful Energy can be taken in the shower, I like to pop them in a bath and let the bitter orange and mint blend wake me up.